Do you want to read this page in Hebrew? Click here to visit our site in Hebrew. American company offers professional Hebrew to English and English to Hebrew translation. 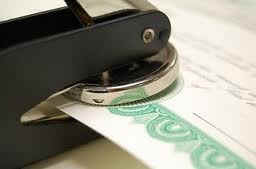 We provide certified and notarized translations accepted by USCIS. BBT Translation Services is an American Group of translators located in Florida, USA. We provide translation of personal documents in languages such as Hebrew, English and more. Our translators are native speakers fluent in the language who provide professional translation of various certificates such as translation of birth certificate in Hebrew, translation of marriage certificate, Hebrew name change, driver’s license, police reports, diplomas, Teudat Bagrut (Israeli High School Diploma) many different licenses, and many other official documents. If you need to show proof residency or if you need to apply for a passport, let the professionals handle your translations. The bureaucracy is cumbersome enough. You need that your documents will be accepted the first time you present them. Our final product consist of the translated document with a certificate of accuracy which states the completeness of the translation and the ability and knowledge of the translator. This declaration is printed on our letterhead and is signed by the translator and notarized by a Notary Public. How to order - In 3 easy steps! Financial translation - tax forms, 106 form, etc.